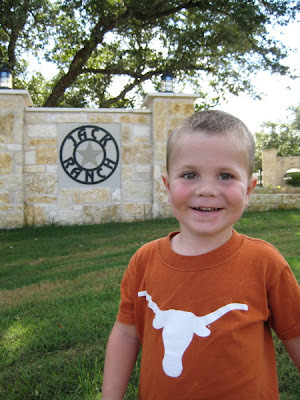 We saw this ranch on the way out to the pumpkin patch and just had to stop. I think it's destiny--I'll take it! Such a handsome kid! Something else that I have to say about Jack. The last few weeks he constantly talks about a princess who is trying to take his pants off. I don't know if it was a dream or what, but he talks about it all the time and it is so hysterical. He is just convinced that he is going to be taken advantage of by a princess.